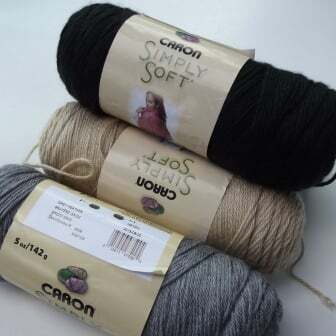 Caron simply soft is a yarn that I wish I had discovered a lot sooner than what I did. I saw many patterns that called for the yarn, but I could never find it in the small town where I used to live. Walmart was always my regular ‘Yarn’ store, but every once in a while I’d take a drive to the city and go to Len’s Mills Store. And every once in a blue moon I’d stop in at Michaels as well. I loved the store, but never did much shopping there for some reason. It wasn’t until this summer that I finally found it at Michaels. I was looking for a yarn to make this bead and lace hat, and decided that this would be perfect. I knew I would love it before I even started working with it, but I allowed myself to purchase only one ball. That was all I needed at the time. I’m desperately trying not to purchase more yarn than what I can handle for the time being. It wasn’t much more than a week until I went back for another ball. The yarn seemed nice and strong and suitable for a sturdy bag and I needed new yarn to crochet this Beads and Diamonds Purse. Because I ended up frogging and redoing my first copy so many times, I decided that I needed to crochet another copy. This time I went back to get another two balls. I needed the second ball because I wanted to crochet the bag with two handles and one ball gave me just enough one handle. A few weeks later the yarn was on sale – 4 balls for only $12.00. On top of that, I had a coupon to get an additional 15% off the entire purchase. There was no way I could pass that up! The yarn is a medium weight category 4 yarn. However, it is a lot thinner and lighter than other yarns in this category. So always check the gauge if substituting with this yarn for another worsted weight. For me, this is like an All-Purpose yarn. With the right hook it will drape well, making it suitable for sweaters, wraps and other items where drape is required. It is soft and feels great against the skin. This not only makes it super nice to work with, but I imagine it’ll also be nice to wear. Furthermore, Caron Simply Soft is like a super strong yarn. When used with a smaller hook, it creates a nice strong and sturdy fabric. This makes it perfect for bags and other items that will go through a lot of wear and tear. Being so soft, I would imagine this yarn is also suitable for baby items, including clothing and blankets. 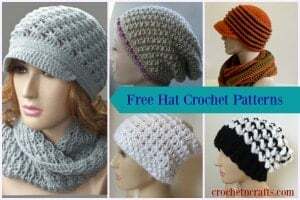 You might even use it for regular-sized afghans. So what will I do with the four balls that I bought on sale? I’m thinking a new back pack for my laptop. Not sure how the colors will look together. I’m thinking an orange in there might look nice, but not sure if orange and grey go together. The ideas are rolling in my head right now and I can almost see it. But before I can get to crocheting, I’ll have to make a rough sketch and do some serious math. Math and color coordination are my weaknesses, so wish me luck! Purchase the yarn on Amazon through my affiliate link.